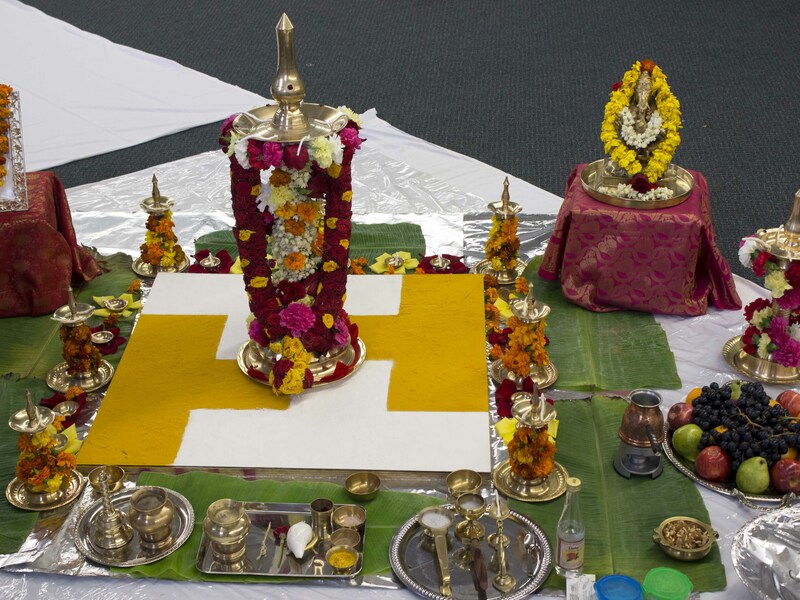 Bhagavati Seva is an ancient Tantric puja ceremony that worships the One Universal Goddess in her three aspects of Creator, Sustainer, and Transformer. It restores balance in the environment, and brings peace to human beings and to the world. It seeks the blessings of the Divine Mother for our spiritual and material welfare. These blessings include spiritual and scholastic knowledge, prosperity, fulfilment of wishes, protection from miseries and negative forces, and removal of obstacles. Amma's Toronto Satsang is deeply grateful to Br. Ramanand for performing this puja for us. May Divine Mother bless us always!